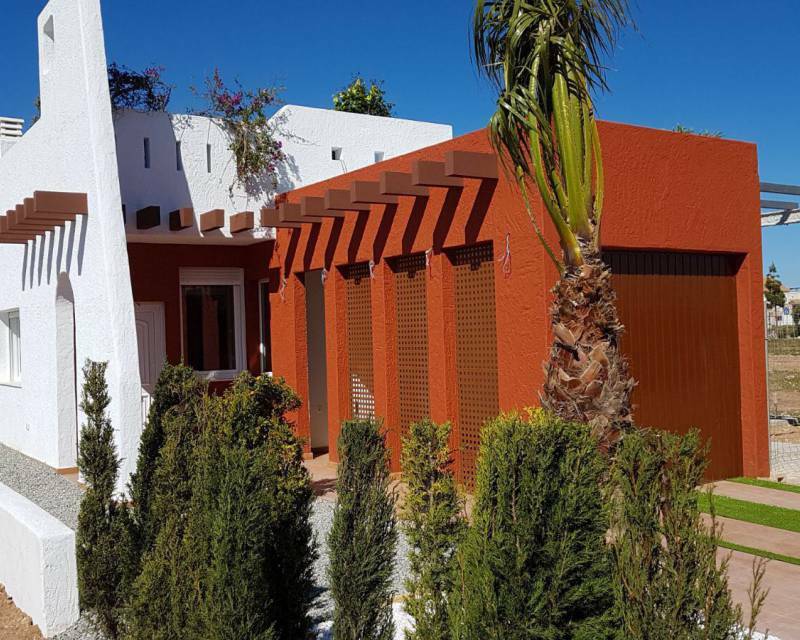 If you are thinking of buying a home to spend the holidays with your family enjoying the sun and the beach, we advise you to visit our New build bungalows for sale in Los Alcazares. Los Alcázares is an ideal place to spend the holidays at any time or even to live all year round. 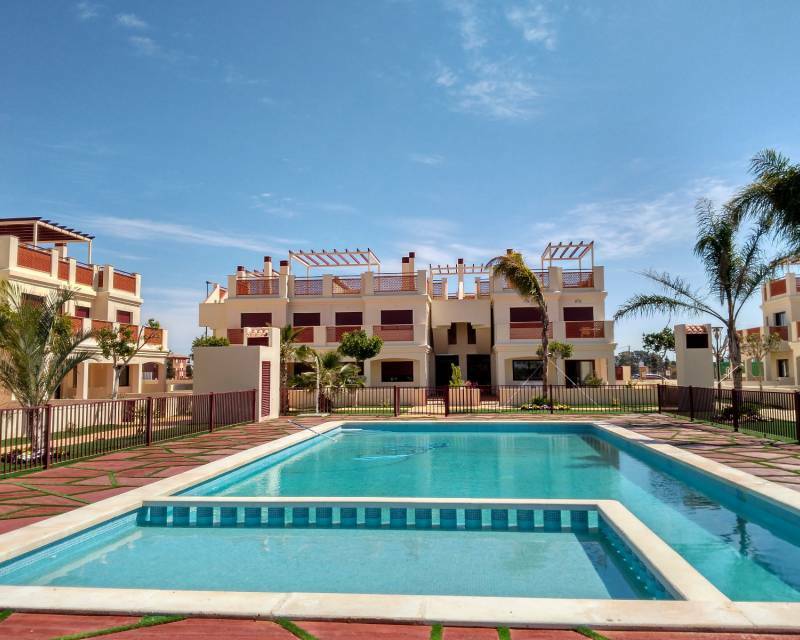 It is a beautiful residential environment bathed by the Mar Menor where you will find a variety of beach bars and kiosks on the beach where you can enjoy delicious ice cream or soft drinks. It is one of the most tourist areas of the region, so it has all the necessary services to live comfortably. 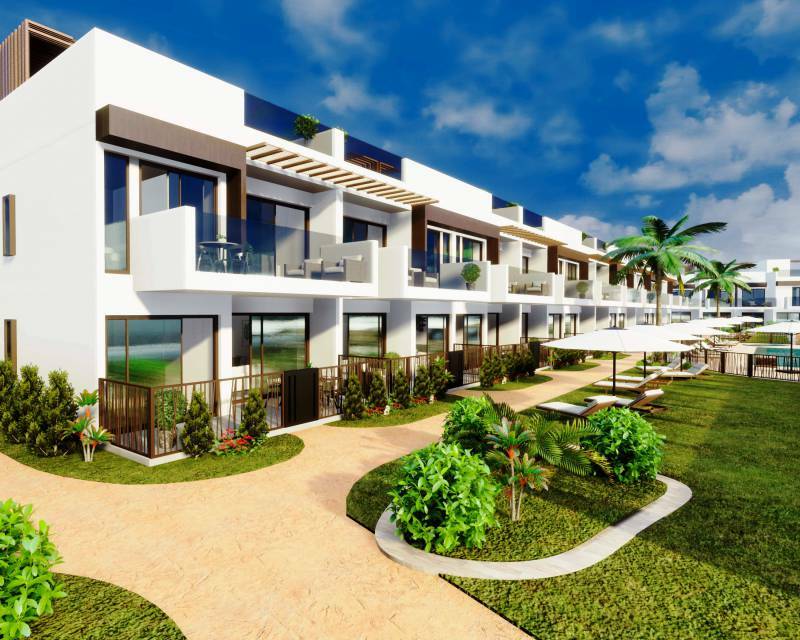 If you want a place to live quietly all year and enjoy the Mediterranean sun, we advise you to visit New build bungalows for sale in Los Alcazares. We have buildings of modern style or classic Andalusian design, so you can choose according to your preferences. They are built with first quality materials and have perfect construction finishes. In addition to the number of bedrooms and bathrooms, variable according to the type of housing, they have a terrace and a small private plot. Another great advantage of acquiring a bungalow is its magnificent community development. In it you can socialize with your neighbors. The children's play area will delight the youngest of the family. They have a swimming pool for adults and a smaller one for children. An extensive solarium area will be the ideal place for rest and relaxation. The whole urbanization has landscaped areas that give freshness and well-being to the environment. 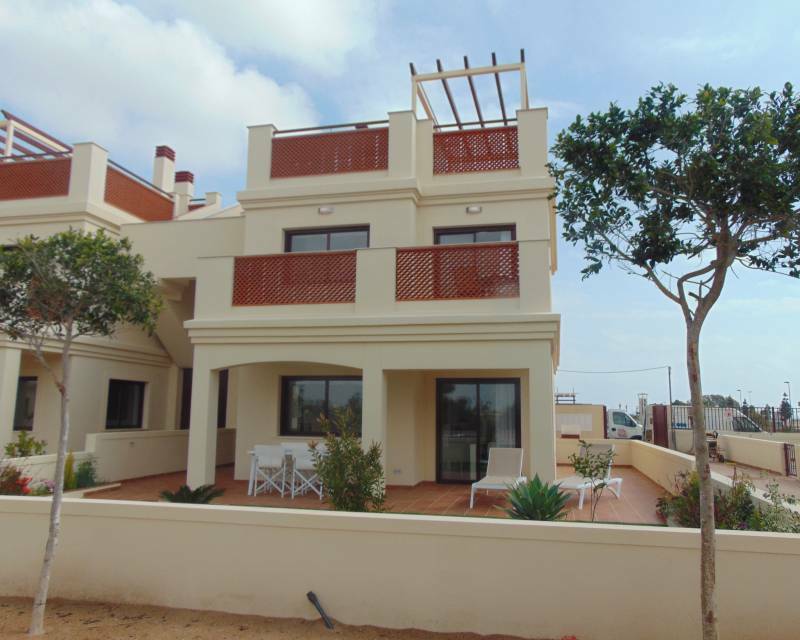 If you want more information about the New build bungalows for sale in Los Alcazares, contact us and we will explain all its features and advantages. 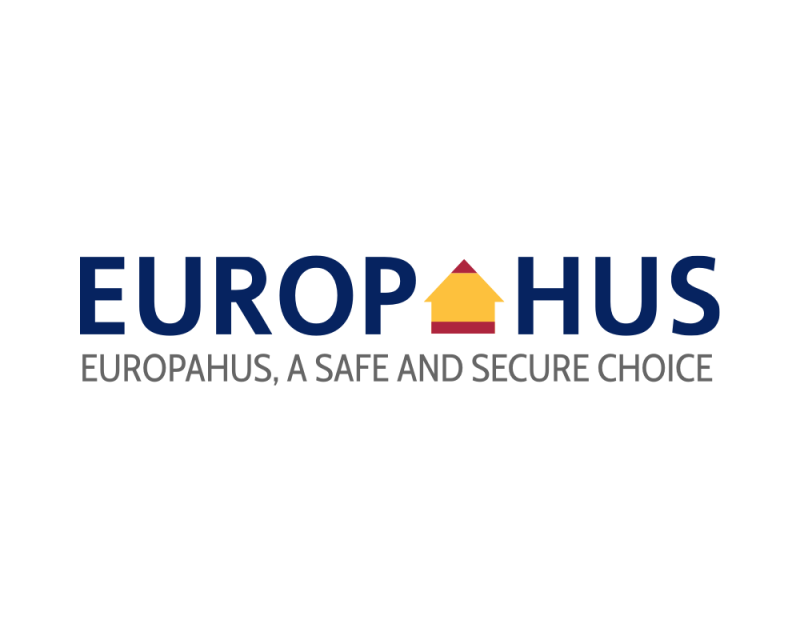 If you prefer a first contact, send us an email to info@europahus.no and we will assist you as soon as possible. If you prefer to visit us personally, our offices are located at Av. Trece de Octubre, 10 - A. Los Alcázares 30710 - Murcia. If you choose to call us by phone, do not worry about the language, because our agents speak fluently the main European languages.